Shiva is the entire universe. He is in every atom of the universe. The Shiva Tattva Has Three Stages: Arupa - without form, Rupa-arupa - form emerging from the formless, Sarupa - with form. Before creation, the process of creation and the creation, is Shiva. Shiva doesn’t have a body, he was never a person at all. To symbolize the unfathomable, the infinite divinity, and to make it comprehensible for the human, they made a form. In fact, there is no form to Shiva. Shiva is a principle, Tattva, from where everything has come, everything is sustained in it, and everything dissolves into it. 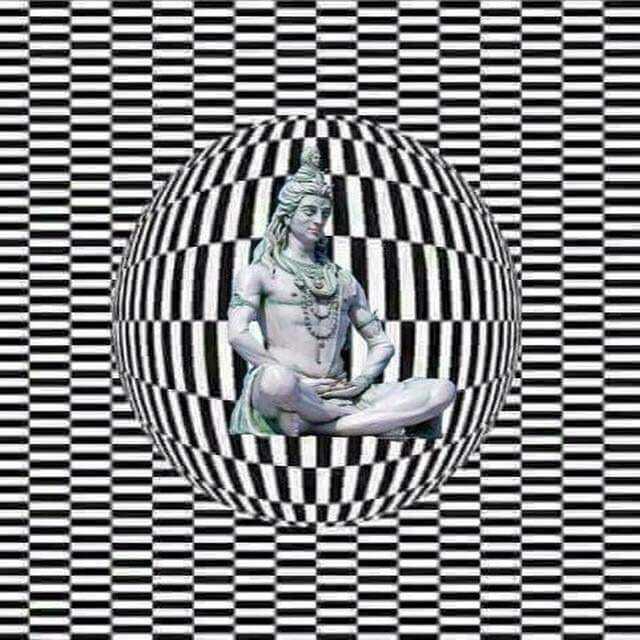 Shiva is the space, it is the consciousness. There is no way that you can even step out of Shiva at anytime because Shiva is the summum bonum of the whole creation. That is why Shiva’s body is depicted in blue because blue signifies the sky; the all pervading infinity which has no limits, and no shape. The consciousness which is bliss and innocence, the consciousness which is the bestower of dispassion; is Shiva. The whole world is moving in an auspicious rhythm of innocence and intelligence ; that is Shiva. The permanent and eternal source of energy, the eternal state of being, the one and only one ; is Shiva. The soul of everything is called Shiva ; there is no difference between the soul and Shiva!